Well faithful reader, i’m glad you asked! RV stands for ‘Recreational Vehicle’, which simply means any vehicle built for the purpose of recreation. For the sake of this category, rest assured we’re talking about RV’s meant for use on land, like motorhomes, travel trailers, and the like. For a long list of terms, see this post. The whole point of any RV is to get out and enjoy nature with the bonus of bring ‘house and home’ along with you. Whether you’re a weekend warrior exploring local spots, or a full-time on the road RVer seeing the whole country, recreating in the great outdoors with an RV is an awesome way to travel, explore, and enjoy vacation time. 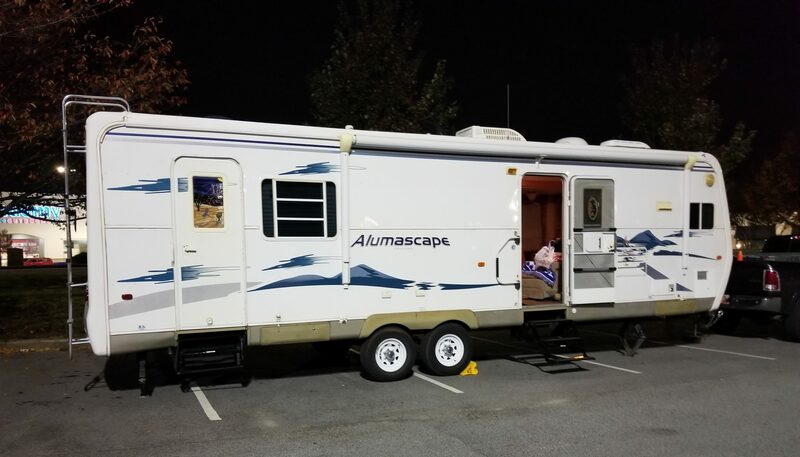 Before buying an RV, go to the largest RV dealer near you and look at all the different models, types, floor plans, and options. Do keep in mind you’re looking at new (or nearly new) models, and an older model may not have all those features, but this gives you a basis to start making some smart decisions. When you’re ready to camp, rent one first! If it all possible, rent an RV of some kind, whether it’s a motorhome you drive around, or a travel trailer already setup for you, just get out there and spend some time with one. When you decide you’re ready to buy, start small. I suggest you buy a gently used model, and invest the least amount of money possible into a quality RV to get you started. The more you know about RV’s, the better decision you can make. To get more information, you need to spend time in, around, and near RV’s! So you’ve decided that you want to get started in RVing, and you’re looking for all the information you can get. You’re already off to a great start, because my blog is full of useful information for all walks of RVers, and i’m constantly adding more! This category will target those who are completely new to RVing, so i’ll be keeping things as plain and simple as possible, while exposing you to the terms and ideas common in RV life. So pack a lunch, buckle up, and let’s go have some adventure!